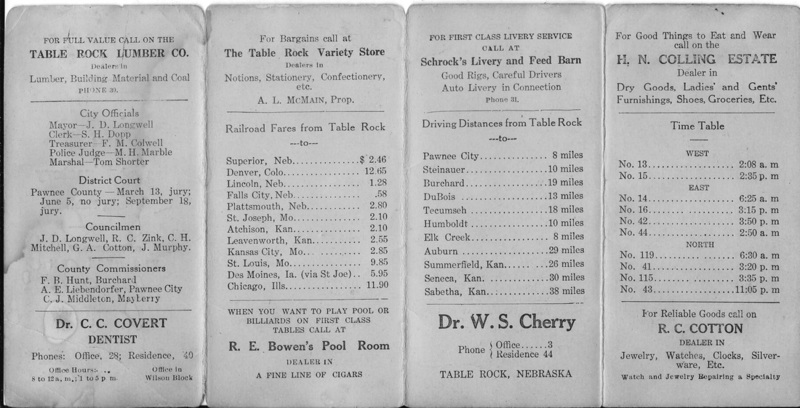 Document 42, a 1911 Pocket Directory to Table Rock, Nebraska, includes some business advertisements. 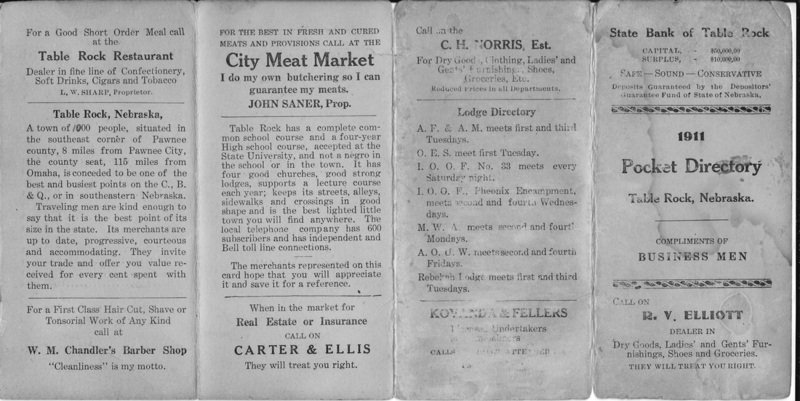 Those businesses include Schrock's Livery and Feed Barn, "Good Rigs, Careful Drivers, and Auto Livery in Connection." The phone number: 31.